All Canadian sustainably harvested Eastern Coyote. 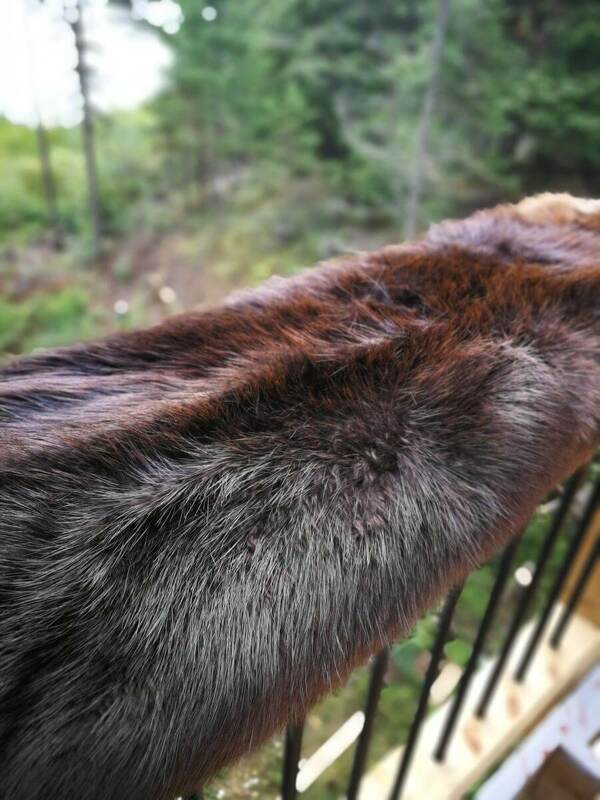 We have started using new coyote pelts for our anoraks because we have noticed the quality of the skin decreasing with aging fur jackets. The harvesting of coyotes in Canada is sustainable and as you can see we are trying to use all of the animal without any waste.